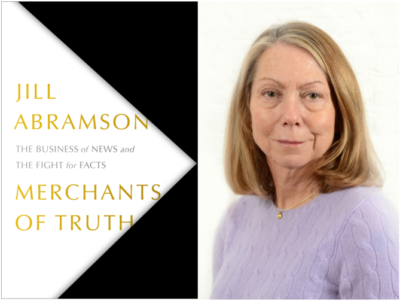 The Business of News and the Fight for Facts (Simon & Schuster). The Washington Post ‘s Jonathan Capehart will serve as moderator. The definitive report on the disruption of the news media over the last decade. With the expert guidance of former Executive Editor ofThe New York Times Jill Abramson, we follow two legacy (The New York Times and The Washington Post) and two upstart (BuzzFeedand VICE) companies as they plow through a revolution in technology, economics, standards, commitment, and endurance that pits old vs. new media.